Fall has arrived upon us, and we all know what this means! There will surely be much talk of s*xy costumes and pumpkin spice lattes, but there is a lot more to this ominous season than just those basic memes on Instagram we all see. Tis the season of haunting tales and spooky stories, it’s the time that we scare ourselves silly just for the spirit of Halloween. Hollywood, California is one of the spookiest places on Earth, it’s a place where both urban legends and films are made. From famous suicides to haunted hotels, the world that’s known for glamour and glitz is also one of the hottest places for conspiracy and murder. Some of the calmer tales here consist of weird happenings, like comic books drawn in blood or death cover-ups. But mostly these stories will lead you into a world where curses and ghosts live. The hauntings that are based in Los Angeles aren’t only eerie, but they’re based around believable schemes and true crime. More than likely what brings so many characters to this place we consider mystical is all of the intriguing glamour. It’s a place that houses so many urban legends that have the possibility of being true. We’ve went and compiled a list of the most devastating, interesting, and downright spine-chilling urban legends that are still discussed in Hollywood today. Some date back as far as the 1920s, right where the moving picture era began, and some others on this list only date back a few years. But what can be said that’s true about all of these frightening stories is that none of them have been solved and there could be some truth to every single one of them. Which keeps up all just a little nervous that some kind of ghostly entity may be lurking around in the shadows. Here are 15 haunting Hollywood urban legends that have a chance at being true! What do you think? 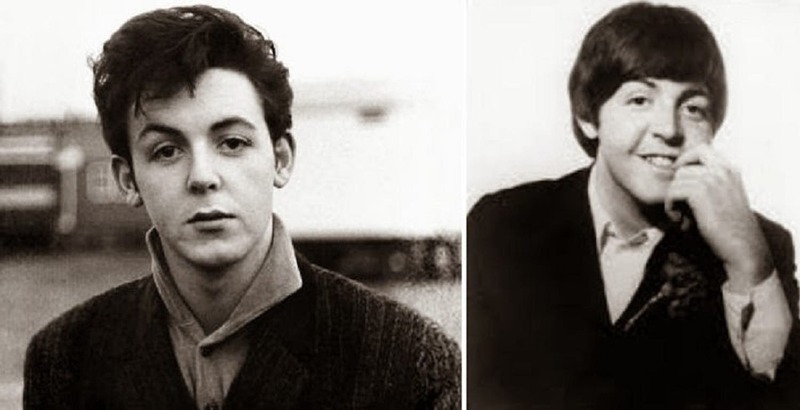 Outliving 2 out of 4 original members of The Beatles, many have claimed that this Paul McCartney is an imposter and isn’t actually Paul McCartney. Legend has that in November of 1966, Paul McCartney died in a horrible car accident. The British MI5 worried about suicides in the masses by fans abroad in the midst of what was known as the “Beatlemania,” so they decided to avoid the danger altogether, giving Paul McCartney a body double and replacing him. The remaining Beatles were not thrilled and throughout their album art and lyrics have left behind clues for fans to follow. The imagery that is so iconic of Abbey Road is actually a said to be a veiled funeral procession for their deceased bandmate. Paul McCartney is the only band member who can be seen barefoot, while Ringo serves as the mourner, Lennon wears all white, and Harrison is supposed to be the gravedigger. Could Lennon’s need to reveal the secret be the reason he was assassinated? Or was the man who has 4 kids, has been knighted by the Queen, and has went on to release a plethora of new albums actually Paul McCartney? Some have claimed that to this day they still don’t know what to believe.